Pedialyte is a drink containing mostly water, but with important electrolytes added. 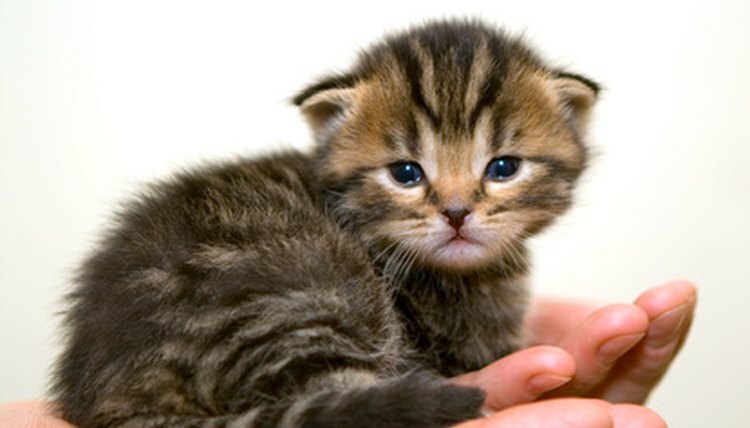 Pedialyte is designed to treat dehydration in children; however, cat owners may safely give it to kittens and cats as a treatment for dehydration. Always consult your veterinarian first. Dehydration occurs when an animal loses body fluids and electrolytes to a dangerous or excessive extent. Cats and kittens can become dehydrated if they do not drink enough fluids, if they have a fever, if they are vomiting or if they have diarrhea. Calcium, potassium, sodium, phosphate, magnesium and chlorine are all electrolytes. They are electrically-charged minerals found in an animal's body in its urine, blood and other bodily fluids. Electrolytes play an important role in maintaining proper muscle function and blood chemistry. Your kitten can become deficient in electrolytes if it becomes dehydrated. Giving a dehydrated kitten Pedialyte can help restore its levels of fluids and electrolytes. Offer your kitten a small amount of Pedialyte in a shallow bowl. If it will not drink on its own, use a baby bottle or syringe to squirt some into its cheek pouch. Give two to four milliliters of Pedialyte to your kitten every two hours; be sure to ask your veterinarian first.